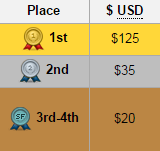 We're back thanks to AfreecaTVs & your support I'm happy to announce the thirtieth AfreecaTV World Invitational! We've had our share of 3-0's but we'll see if that's the case with event 30. Keep in mind this event is on the Friday instead of the usual Saturday! 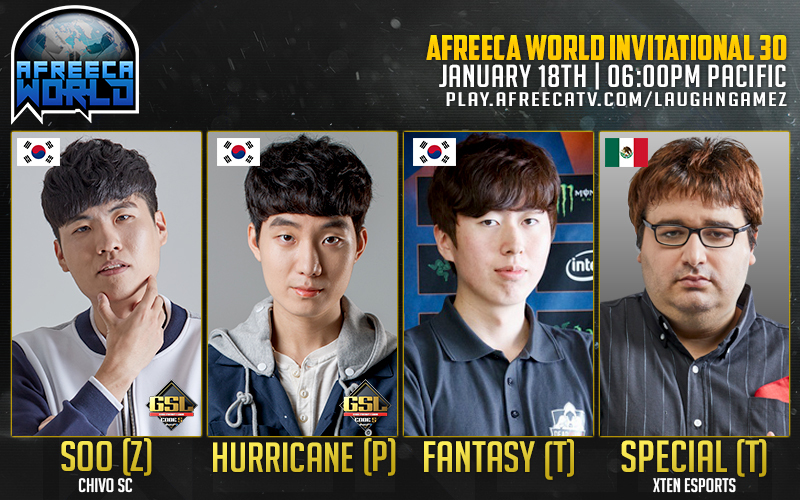 The first invite and most recent champion of Afreeca World is FanTaSy the Korean Terran who sweep'd the last event. The opponent for FanTaSy is none other than Chivo's soO the monster Zerg. The next invited player is XTEN's SpeCial the Mexican Terran who is currently living in Korea. The opponent for SpeCial will a house mate Hurricane the Korean Protoss. Come out to support the 30th Afreeca World! FanTaSy takes it 4-3 over SpeCial!